Luxuriously made with high quality pleather and hardware. 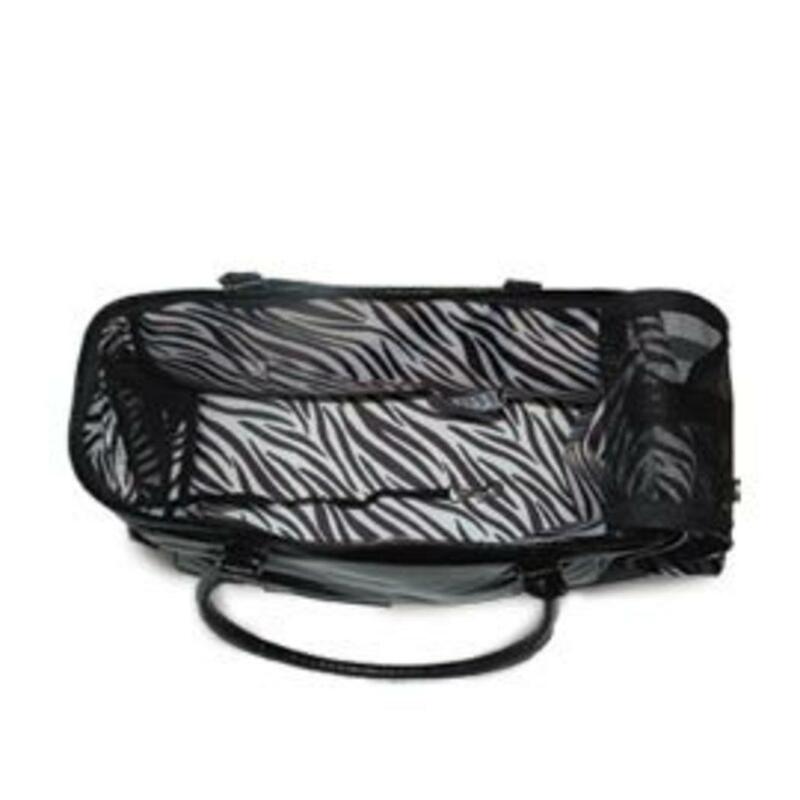 This stylish dog carrier by Dogo is accented with metal hearts, black and white zebra lining inside. Opening from top and side with additional layer of mesh window for ventilation. 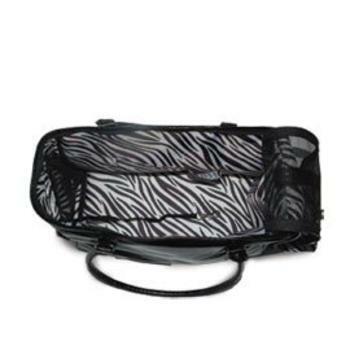 Also has two functional side pockets for your stuff.